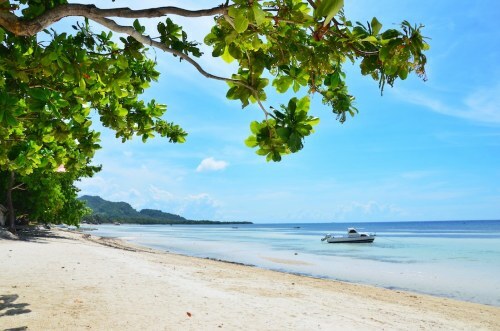 China Eastern has dropped the price of their January and February 2018 flights from Calgary to Cebu, Philippines down to $518 CAD roundtrip including taxes. This is 75% below the typical cheapest price for a roundtrip flight from Calgary to Cebu! 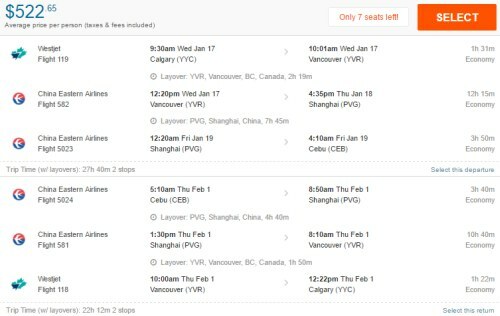 The flights have 2 stops each way, in Vancouver and Shanghai, China. And if you do find yourself in Anda, I can also highly recommend James from Anda Adventures who offers some excellent excursions in the area. NOTE: After your Momondo search completes, slide the 'Max Flight Duration' slider on the left down to around 52 to see these flights. Flighthub is showing these for $523. calgary, yyc, flight deals, asia, southeast asia, philippines, china eastern airlines, cebu and ceb. 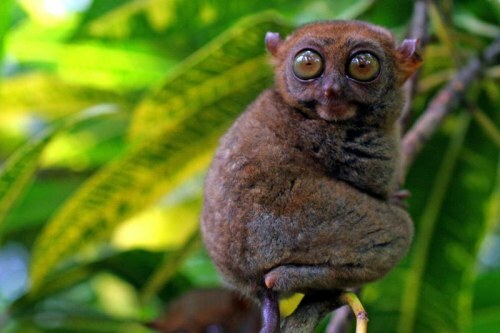 2 Responses to "Calgary to Cebu, Philippines - $518 CAD roundtrip including taxes"
Hello, I would like to register to your blog since very soon I will be buying a ticket to, maybe Thailand or Morocco, please let me know how I can go ahead and enroll.